Help Save the Rusty Patched Bumble Bee (bombus affinis)! Its numbers have dropped 87% in the last two decades. Pleases consider challenging your club to count how many of these plants they have in their yards for feeding the Rusty Patched Bumble Bee. Also, challenge members to take photos of Bumble Bees on their plants and we will figure out how many types of Bumbles we have and if any (probably not, but…) are the Rusty Patched variety. 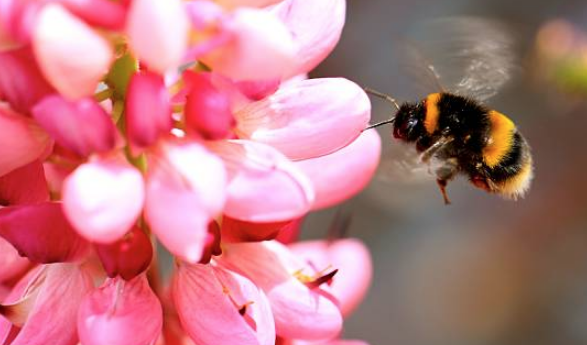 Just 20 years ago, the rusty patched bumble bee was a common sight, so ordinary that it went almost unnoticed as it moved from flower to flower, collecting nectar and pollen. But it’s now balancing precariously on the brink of extinction and has become the first-ever bumble bee in the United States to be listed as endangered. It was once found across 28 states from Connecticut to South Dakota and north into two provinces in Canada. Today, we find it only in a few locations in Illinois, Indiana, Iowa, Maine, Maryland, Massachusetts, Minnesota, North Carolina, Ohio, Pennsylvania, Tennessee, Virginia, Wisconsin – and Ontario, Canada. Abundance and distribution of rusty patched bumble bee populations have declined by an estimated 91 percent since the mid to late 1990s. Experts tell us that ticks have been increasing across the country and in our area as well. 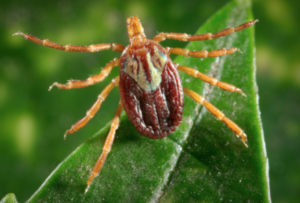 Some ticks, such as the Lone Star Tick, carry a virus that some scientists say is even worse than Lyme Disease as it can be transmitted in a very short time and can cause a severe and deadly allergy to red meat. This tick as well as the more common deer tick are not only a nuisance, but a significant health threat. Don’t feed deer — ever. When working in the garden or on walks outdoors, wear light colored clothing, so that ticks can be seen easily. Comb your hair thoroughly and check the rest of your body when you come back inside. Treat your pets with Frontline or other tick and mosquito control substances. Ask your vet about the best products for your pets. If your property is frequented by voles, mice, deer, or other animals that carry ticks (and that is most yards! ), use repellents and/or have your property treated with insecticides to kill grubs and other food sources that may be attracting them. Seek medical assistance if you develop a bull’s eye rash, flu-like symptoms, or any other unusual symptoms, especially after you have been bitten. And, if you have spent a lot of times outdoors and have not been feeling well, ask your physician about being tested for a tick-born disease. Some of these diseases can be treated with antibiotics, and if left untreated, people can develop a variety of health problems, including facial paralysis, heart palpitations, arthritis, severe headaches, and neurological disorders. While we all go a little batty at times, especially in the fall when we rush to finish end-of-the-season gardening tasks and social obligations intensify, did you know that bats are far more active in autumn as well? With this increase in bat activity, you are more likely to encounter bats in or around your home. Lake County tests bats annually and have found roughly 4% are rabid. So, while it is recognized that bats can do much good for the environment with some species being pollinators and many bat species consuming pesky insects, we do not want any personal, close contact. The following links will give you information on what you can do to protect yourself and family and who you can call should a bat get inside your home or garage. We are warned daily about protecting ourselves against the Zika and West Nile viruses, both carried by mosquitoes. 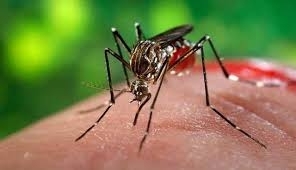 Wear protective clothing, use bug repellant, treat standing water, spray for mosquitoes. Less often we hear about another disease affecting bees called Colony Collapse Disorder, which resulted in the loss of 44% of honeybee colonies last year in the US. Bees are vital to our agricultural economy: their pollination contributed over $14 billion to the value of our crops in 2015, are necessary for many crops such as blueberries, cherries, and almonds — and of course, the more than 175 million pounds of honey harvested annually in the US. 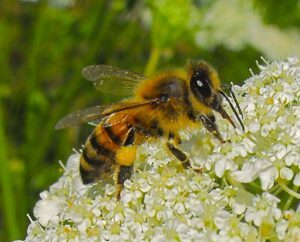 But thiamethoxam and clothianidin — two insecticides banned in some European countries but sold in the US — have been found to reduce sperm in male bees. Look for insecticides that don’t include these chemicals. 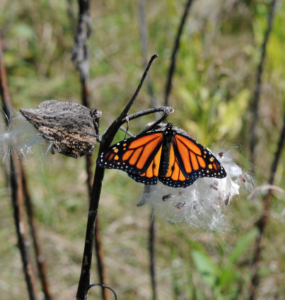 Don’t spray insecticides on flowers when they are in bloom. And if there is a breeze — protect birds, bees, and yourself by not spraying insecticides until it is calm. Bee safe!